Tokyo is a city brimming with creativity. From its unique architecture to the artwork that adorns its pavements it's no wonder that foreigners flock here to become part of the design scene. 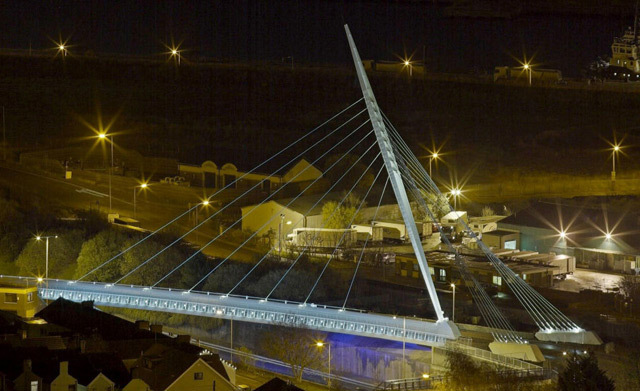 Studio Bednarski’s leaf-shaped Fabian Way Bridge has been shortlisted for the 2008 Structural Steel Design Awards. The awards, which are sponsored by the British Constructional Steelwork Association, look at both the structural engineering and the planning and architecture of the structure considering factors including durability, architectural excellence, environmental impact and skill and workmanship of the British entries.